Elizabeth McMechan, UMSAN-RSM member, helps lead a discussion on “proletarian feminism” and combatting increasing anti-abortion presence on campus. 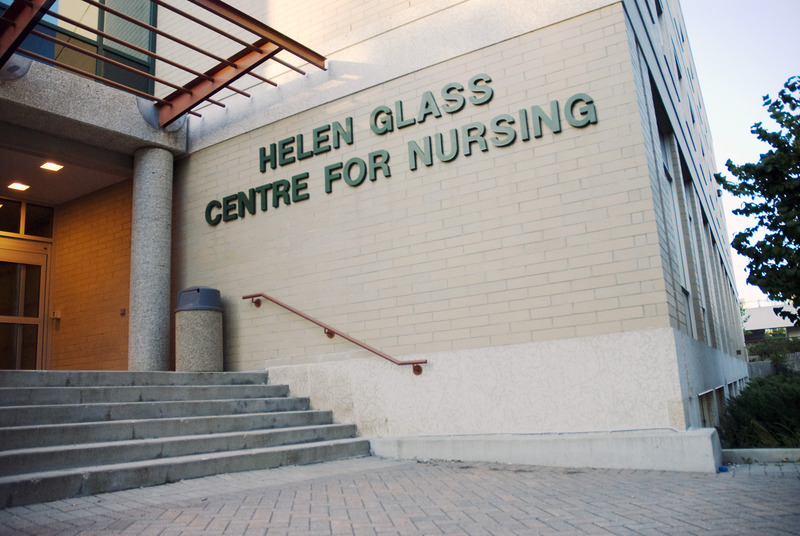 Members of the Manitoban chapter of the Canadian Centre for Bio-Ethical Reform (CCBR) – an anti-abortion advocacy group – were asked to leave the Fort Garry campus by U of M security services Jan. 29 after pamphleting in the tunnel connecting UMSU University Centre and the Engineering and Information Technology Complex. UMSU VP advocacy Allison Kilgour, who was among the students that confronted the group from CCBR, said that after student concerns regarding the group’s distribution of graphic imagery featuring aborted fetuses were brought to the attention of UMSU, campus security was contacted. Kilgour added that her choice to confront the group was one taken independently of her position as an UMSU executive. “Myself personally, I just wanted to be there because as Allison, the student, I just felt that was necessary,” she said. The Manitoban chapter of CCBR is not a registered U of M student club and had not sought permission to advocate on university grounds. The group has previously pamphleted on campus, with Jan. 29 marking their fourth time doing so in the past year. “The images that we’re showing are disturbing, because abortion – which tears apart tiny human beings – is a disturbing and violent death,” Coffey said. “So the question is: should we be concerned about the images, or the fact that everyday 300 or more pre-born children are becoming these images because of abortion?” he asked. “Exposing abortion for the injustice that it is is our principle means, in conjunction with compassionate and honest conversation with the people we meet,” he said. 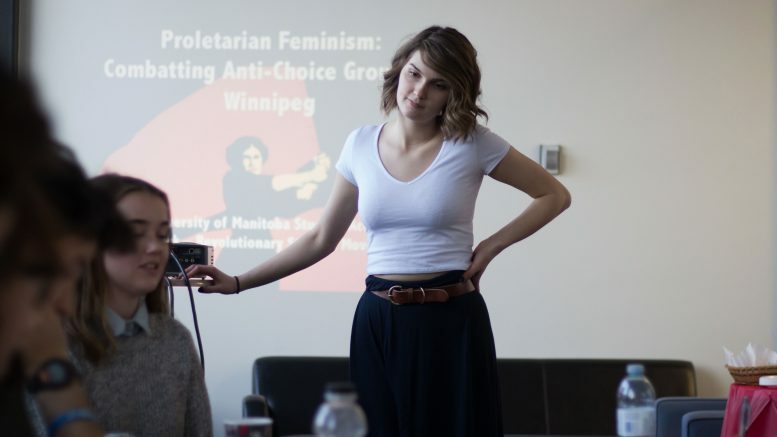 On Feb. 1, the UManitoba Student Action Network – Revolutionary Student Movement (UMSAN-RSM) hosted a presentation followed by an open discussion on “proletarian feminism,” and how to combat the anti-abortion movement. “The anti-choice movement has become a lot of separate things,” said Elizabeth McMechan, a women’s and gender studies student and UMSAN-RSM member. “A lot of people associate it strictly with religious organizations, but other organizations have popped up that actually try to use pseudo-science in order to push forward their opinion of abortions. “They don’t believe that people who are looking for reproductive justice should be allowed to have complete bodily autonomy, which to me seems extremely dangerous, and a very fine line,” she said. “A lot of it is inherently misogynistic and wrong, and I don’t think that University of Manitoba students should be subject to that when they’re trying to be in a safe space to get their education,” McMechan added. McMechan cautioned students against engaging with anti-abortion groups, saying that doing so can be counterproductive and serve to legitimize such perspectives. “We’re trying to organize ways that we can get them off of campus, so that we can combat them in ways where they can’t spread their information anymore,” McMechan said. McMechan also cited the presence of the University of Manitoba Students for a Culture of Life, a student group whose purpose is to educate and advocate for an end to abortion in Canada, as one such group. “Obviously we know content like that is triggering to many folks, and we take that seriously,” Nagra said. “I have approached UMSU student services about having these groups removed as UMSU groups, and I haven’t really received a lot of helpful information,” said McMechan.